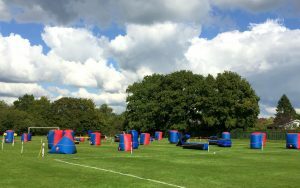 Our freestyle Mega Blaster World is setup with an inflatable bunker styled barricade system of all different shapes and sizes to hide behind in game play whether in your own garden or in our Event Hall. 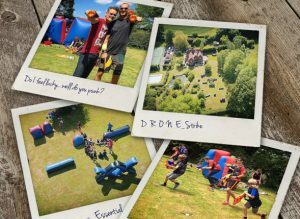 Our Nerf Blaster arena venue is equipped with a sound system for enhancing the atmosphere in game play and parents can sit back and have a chat whilst watching their kids battle away in their Blaster Party through the viewing area. 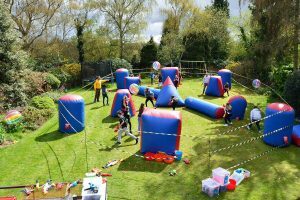 Their are full facilities with a kitchen, a serving hatch and a Club Room where you can set-up your Party food while the children battle out there games. All toilets and parking are available to the customers on booking your Party. 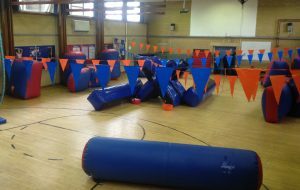 In here we can either run a firing range for NERF Rival Blasters or Traditional NERF Blasters or combat for either forms of the game. 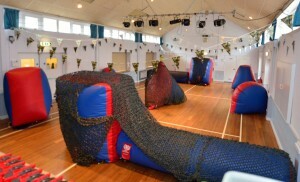 We have the option for larger Blaster Parties to open a second hall which joins with the first to allow up-to 35 persons to battle away through a joining walkway making a huge double arena for twice the fun. 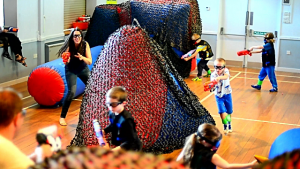 It is undoubtedly the future for ‘Blaster’ fun for all the family in a safe environment with the added bonus of the entire ‘Nerf’ Blaster Range to play with, it is “Its Blast or be Blasted, R U Ready”! This is what Mega Blaster World is all about – Click Here for a mini clip.